Re-using materials and reducing our impact on the the environment where possible, has always made great sense to us and has been central to our trading policy from day one. 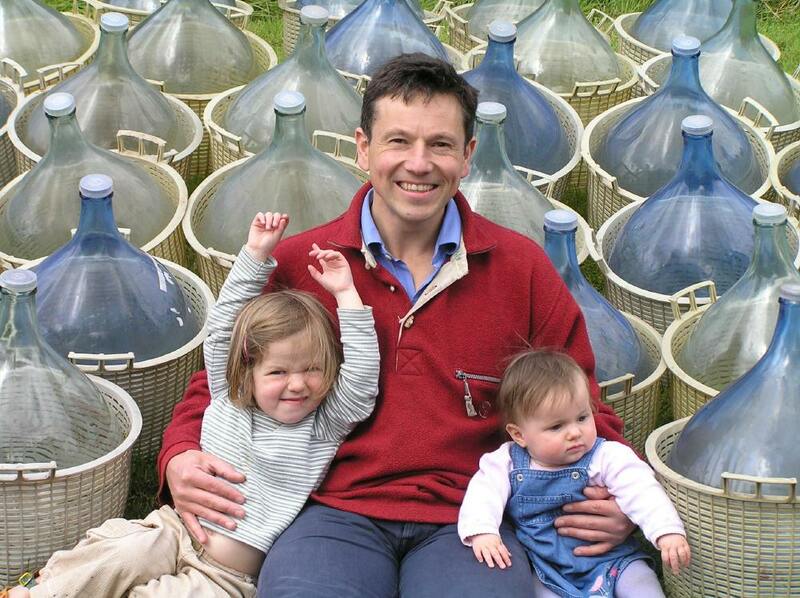 Being able to refill and re-use your Demijohn bottle, as shown in our page How it Works, is only one of many environmentally friendly policies we have in place to help us strive to be a zero waste business. We deliberately source products from producers close to us to reduce food miles. Our producers are all vetted by us so that we can be sure they use clean, fair and sustainable methods of production, in line with Slow Food UK principles. We are lucky, deliberately having only a small number of lines allows us the chance to get to know our producers personally and visit them as often as possible. We are the achilles heel of a supermarket in this respect! It does not stop there. We have tried to create a unique environmental cyclic loop in going about our resupply and retail. The containers our stock is delivered in, where possible, are returned to our producers for reusing. Those that cannot be returned for environmental health reasons are recycled locally as they are 100% recyclable. 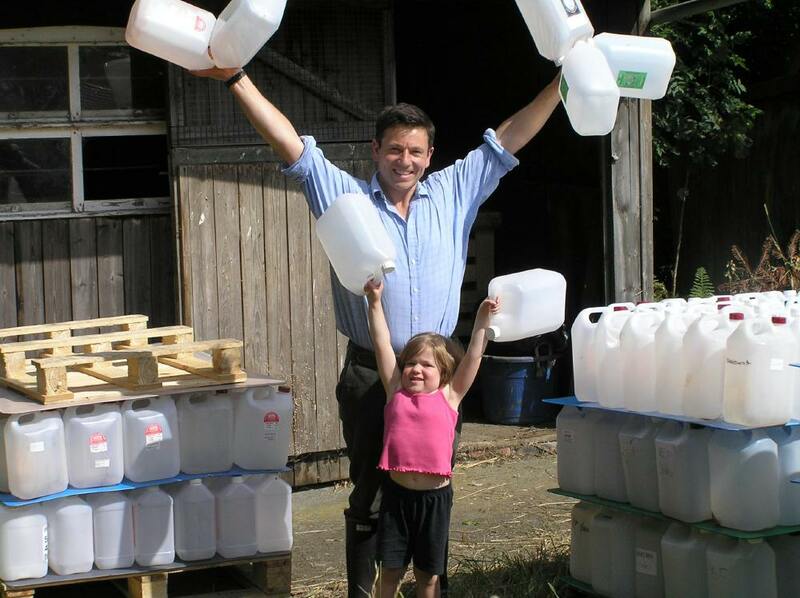 So both our producers and our customers can refill thus creating the perfect environmental cyclic loop, ingenious! There is more. All our brown paper carrier bags are made in Britain from either recycled materials or Forestry Stewardship Council (FSC) approved timber products. If we are going to use new materials, we favour the use of many natural, sustainable, and biodegradable products. Unfortunately despite their low impact on the environment, there is often a higher cost associated with their use. For example, we use friendly Portuguese cork for sealing our bottles. Our wicker hampers do come from China, however they are made of steamed willow that has a water based sealant, rather than the normal less friendly dark varnish stain. Our Demijohn Jute bags are made in accordance with Fair Trade production techniques in India. It gets better still. We decided to fit out our shops with reused materials where possible. The wooden shelves that support our demijohns are made from Scottish Ash that was rejected by the commercial timber trade. Our Octaves that we decant our whiskies from have been coopered down from recycled old casks, even the majority of our beautiful demijohn containers have been recycled from their first life of holding wine and olive oil. Will it ever end this enormous list, no! Our policy for continuing clever, low impact retail will be with us until the day we close the last door on our last shop, that is how much it means to us. On behalf of us both, thank you for your great enthusiasm, support and custom.....it's not easy being green!